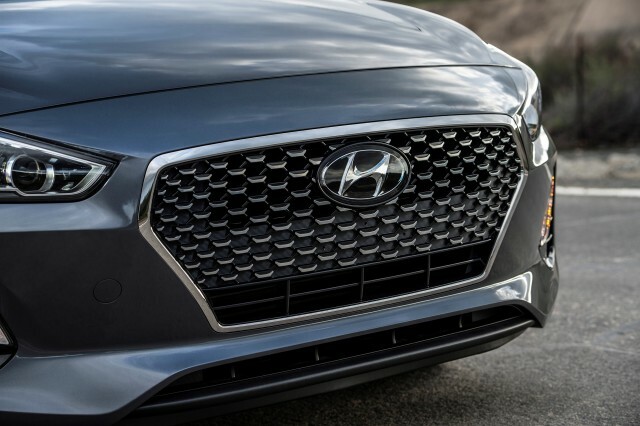 Hyundai has released the first photos of the 2018 Elantra GT ahead of a debut at the 2017 Chicago auto show. We’ve already seen the redesigned Elantra GT, however, as the car is the Americanized version of the Hyundai i30 (shown below) that debuted last fall at the 2016 Paris auto show. The new five-door hatch is also related to the Elantra sedan that went on sale here in 2016. There are a few differences, though, such as the Cascading grille design and Nürburgring-honed chassis. At launch the vehicle is likely to come exclusively with the Elantra sedan’s 2.0-liter inline-4, good for 147 horsepower and 132 pound-feet of torque. Hopefully a more potent model fitted with the Elantra Sport’s 200-hp turbocharged 1.6-liter inline-4 is also planned. Unfortunately, Hyundai has ruled out the Focus ST and GTI rivaling Hyundai N version for sale in the U.S. Instead, we’re expected to receive a hotted-up version of the Elantra sedan as our first N model. The Chicago auto show starts February 9. To learn about some of the other vehicles set to appear, head to our dedicated hub.